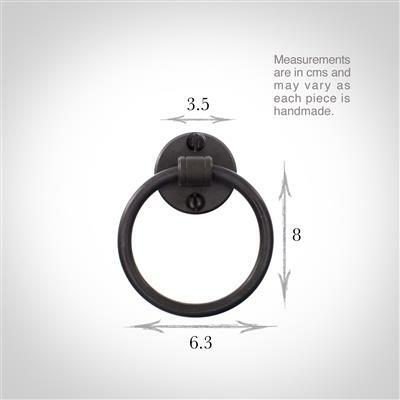 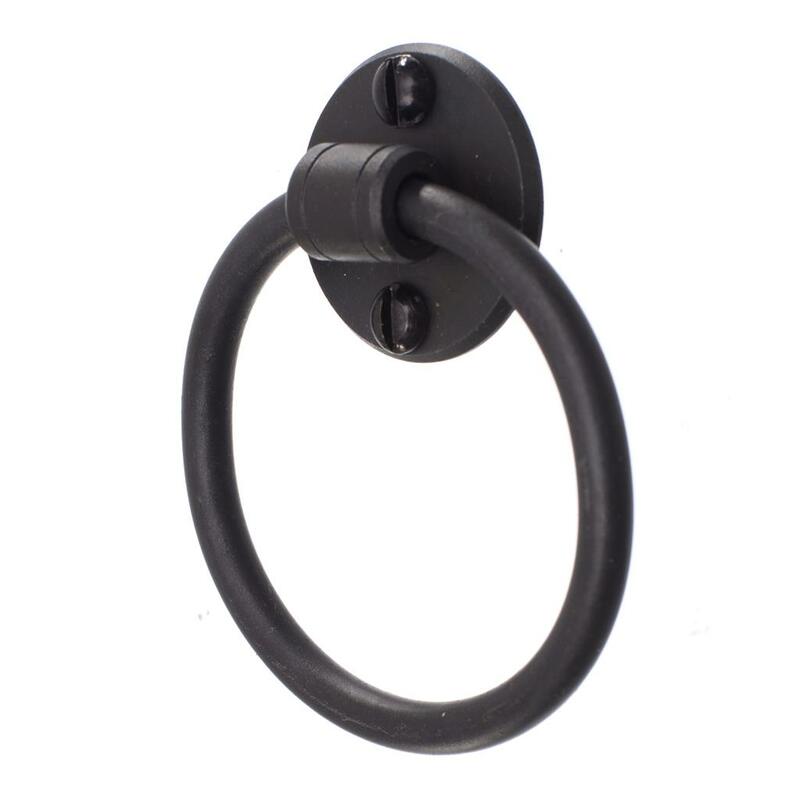 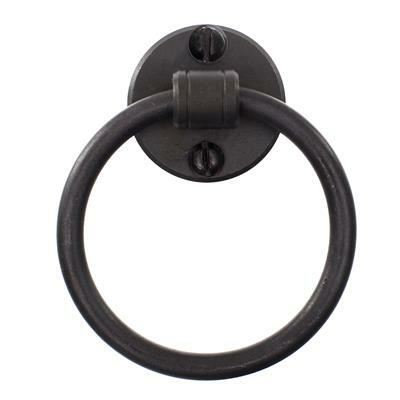 A traditional forged iron ring pull handle in matt black. 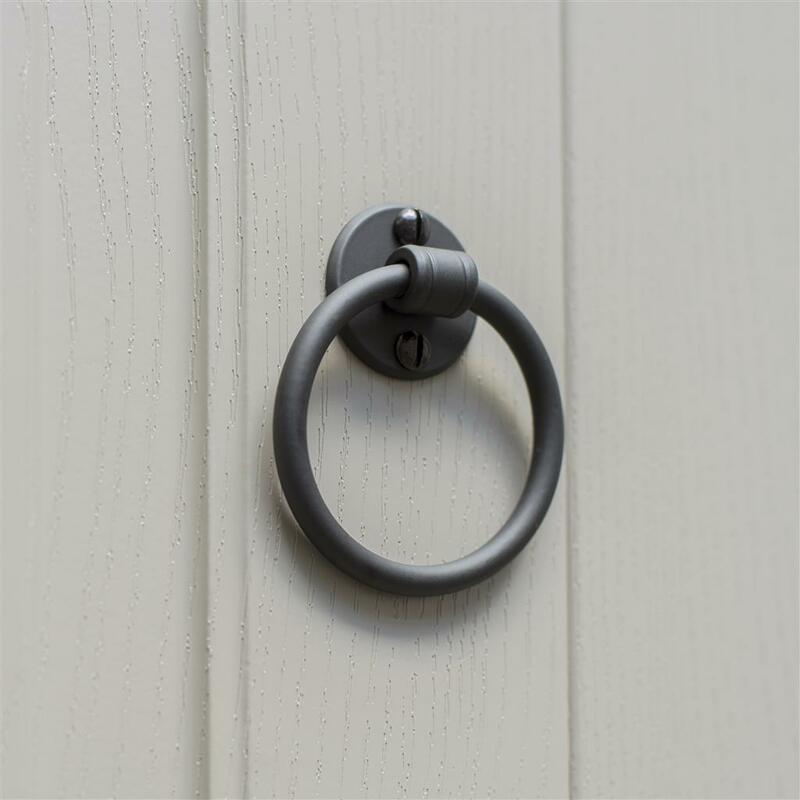 This classical design offers a simplistic style that suits both contemporary and traditional properties. This is a practical, yet stylish product that highlights the beauty in hand-made products. 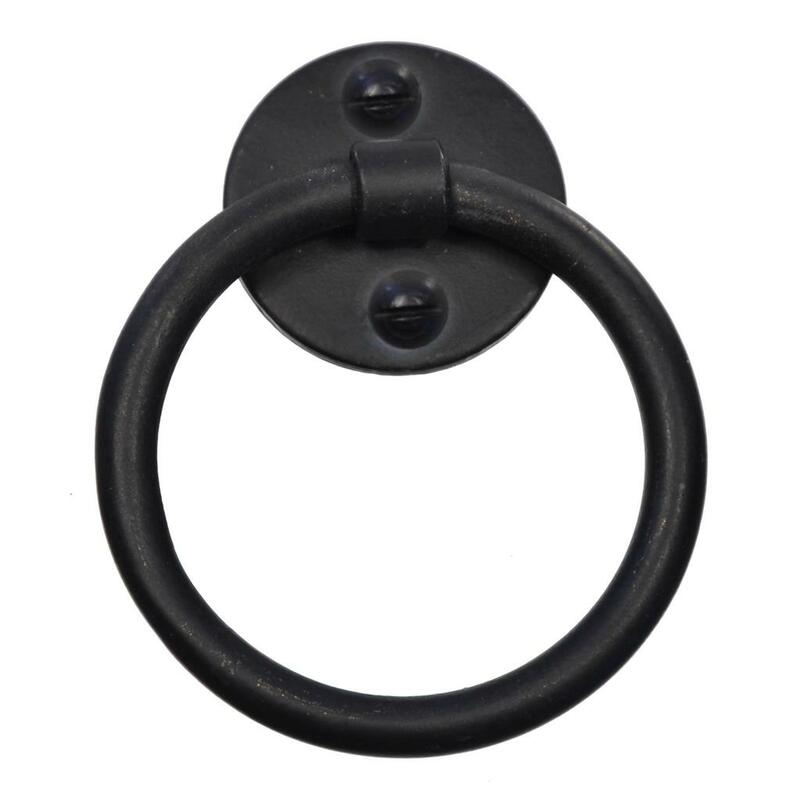 The simplistic styling and smooth surface accentuates a feeling of luxury that is not visually overwhelming but will complement any room in your home. The matt black finish can be paired with pastel colours creating a beautiful contrast. Let this sophisticated drawer pull grace your drawers or cupboards to ensure a timeless elegance.